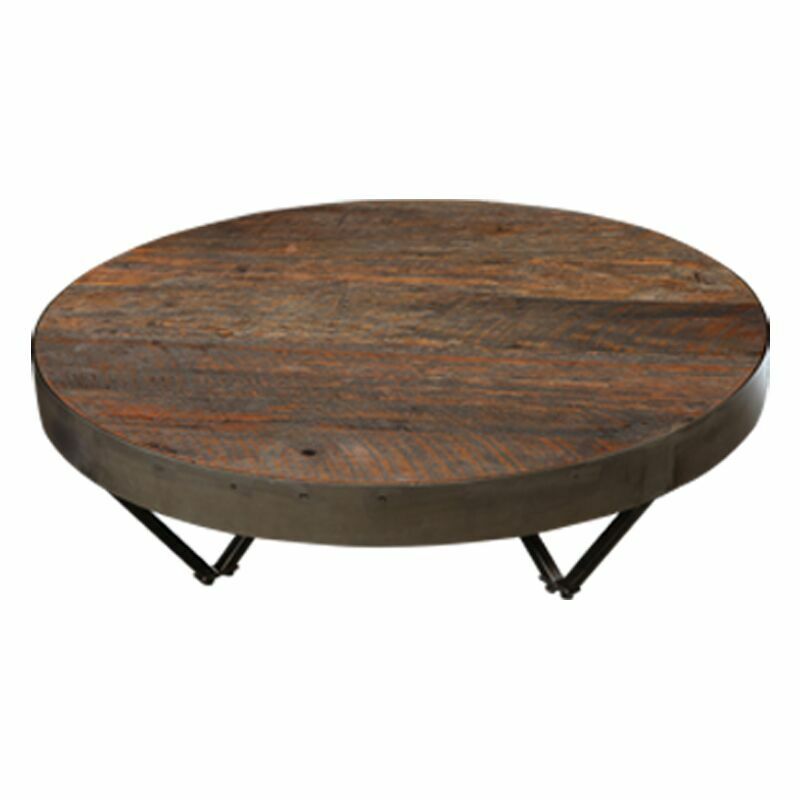 The African Drum Coffee Table is often used as a centerpiece, and for good reason. 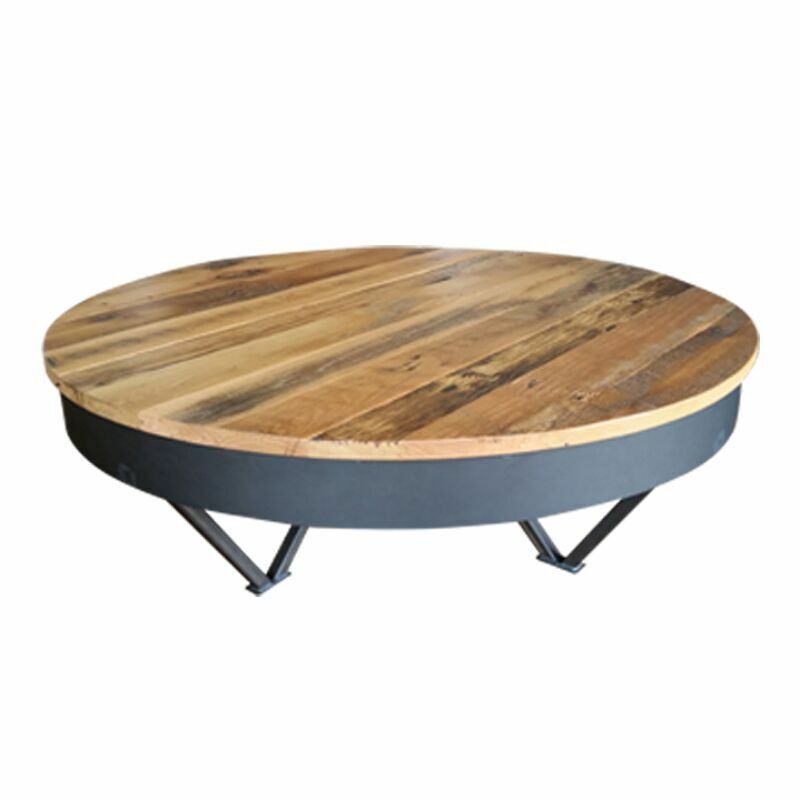 The beautifully finished Reclaimed Barn Oak top is the perfect height to rest your drink, food or feet. The thrum of conversation is what really brings this table to life. 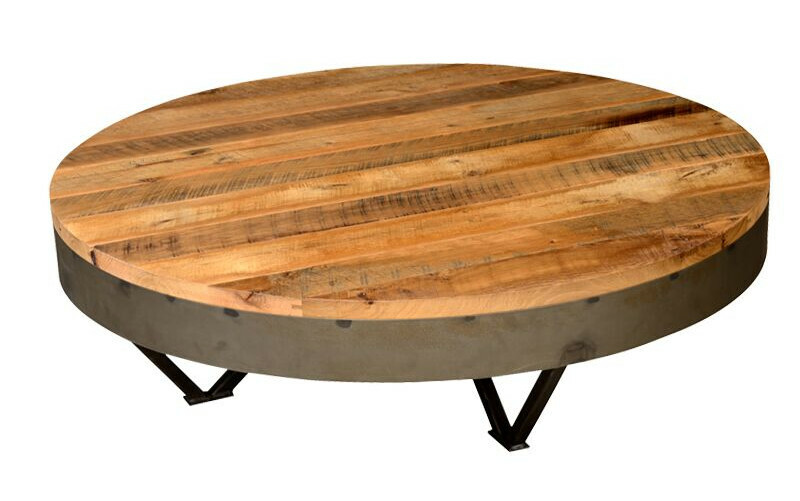 Reclaimed Barn Oak top, Hot rolled Steel base, Clear powder coat finish.